A trip to Minnesota's North Shore just wouldn't be complete without a stop at Gooseberry Falls State Park. Known for its spectacular waterfalls, river gorge, north woods wildlife, and Lake Superior shoreline, this gateway to the North Shore offers something for everyone, no matter the season! 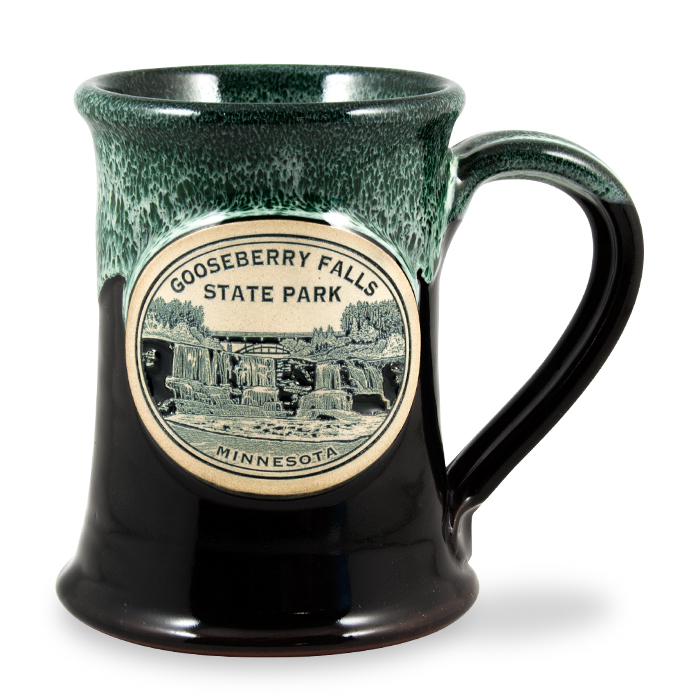 Just like this great state park, the Jr. Executive mug is ready to impress year-round. With a 12 oz. capacity, this classic mug can handle everything from hot chocolate to your favorite frosty brew. Glaze: Black w/Hunter White Industry: State Parks (We work with many different industries) Capacity: 12 oz.